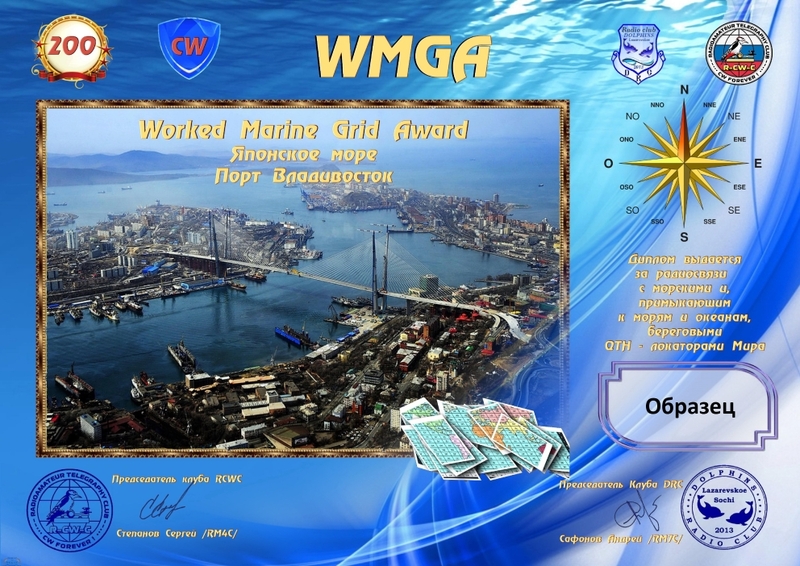 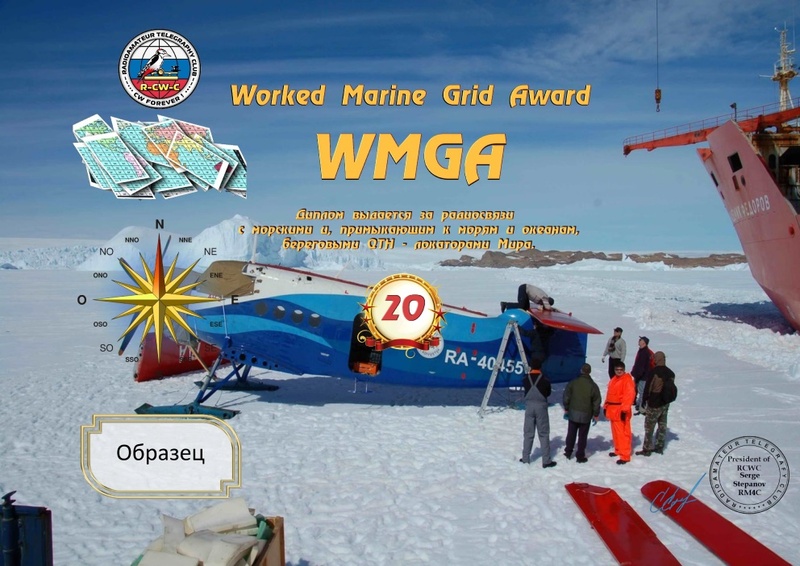 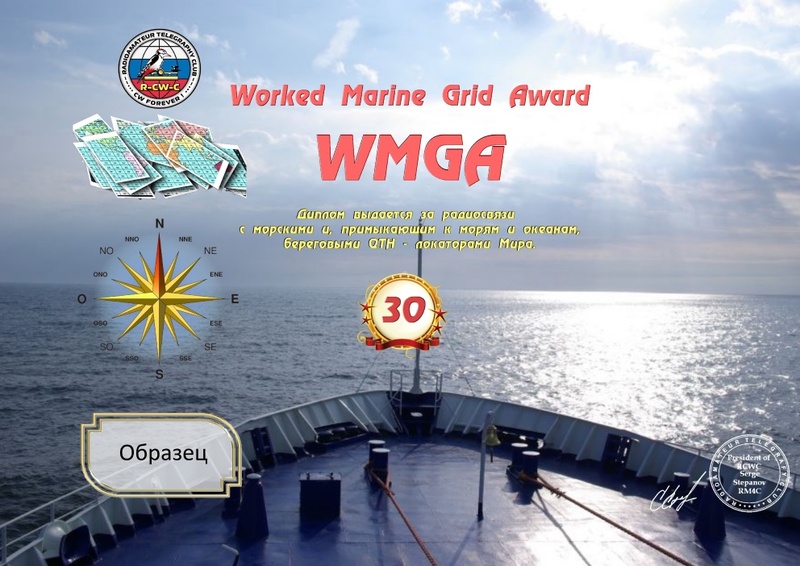 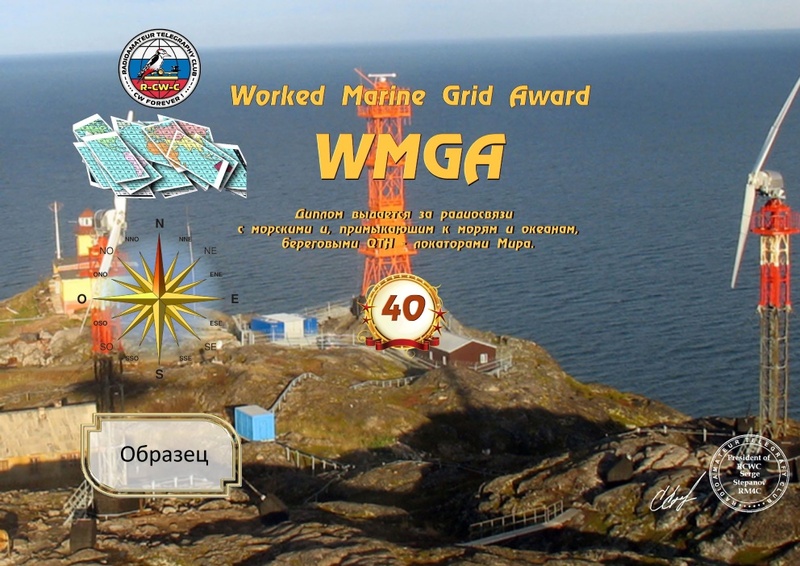 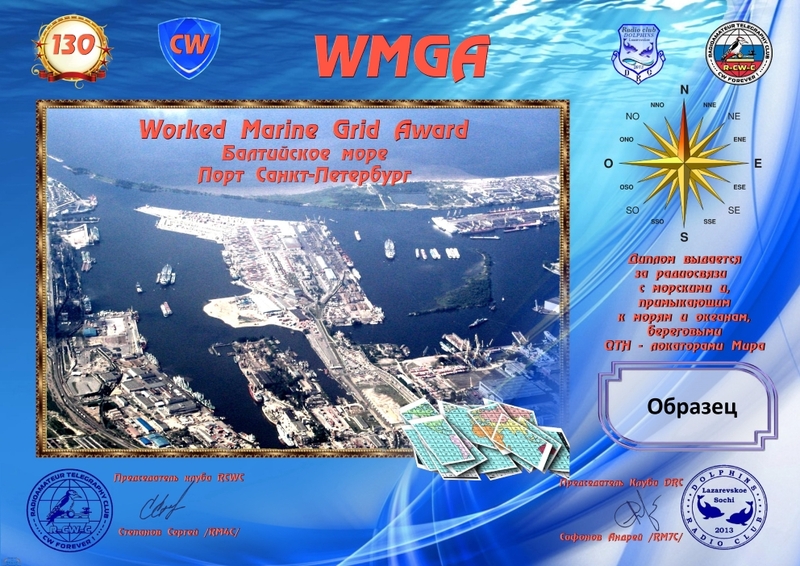 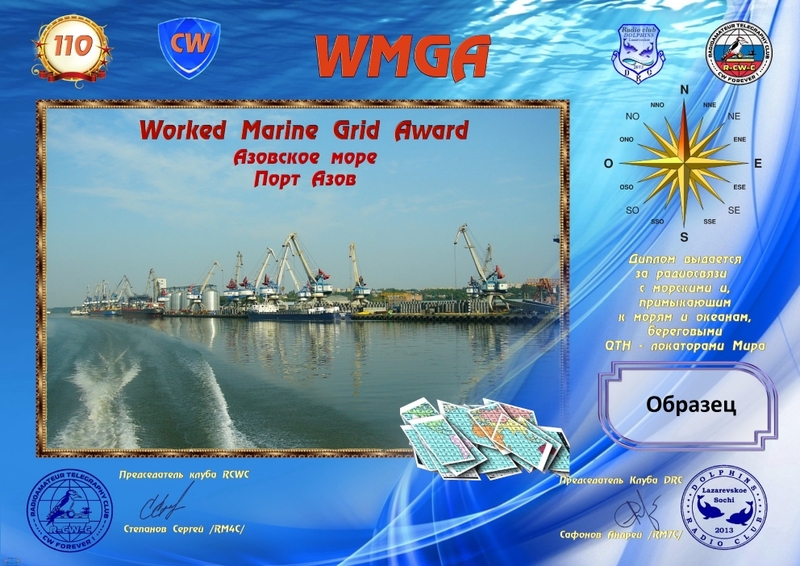 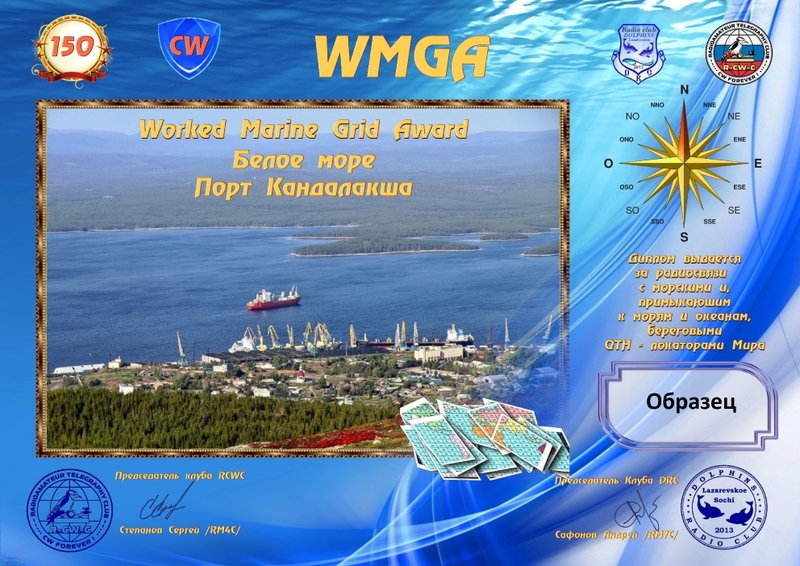 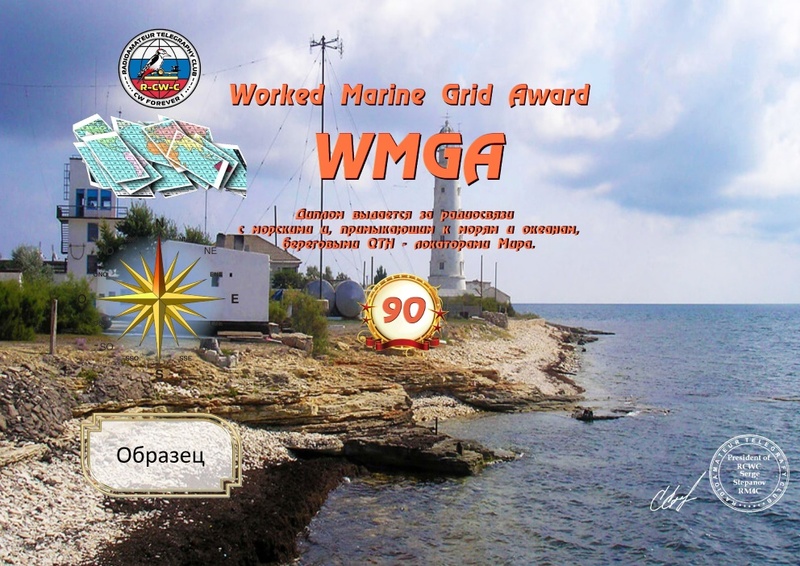 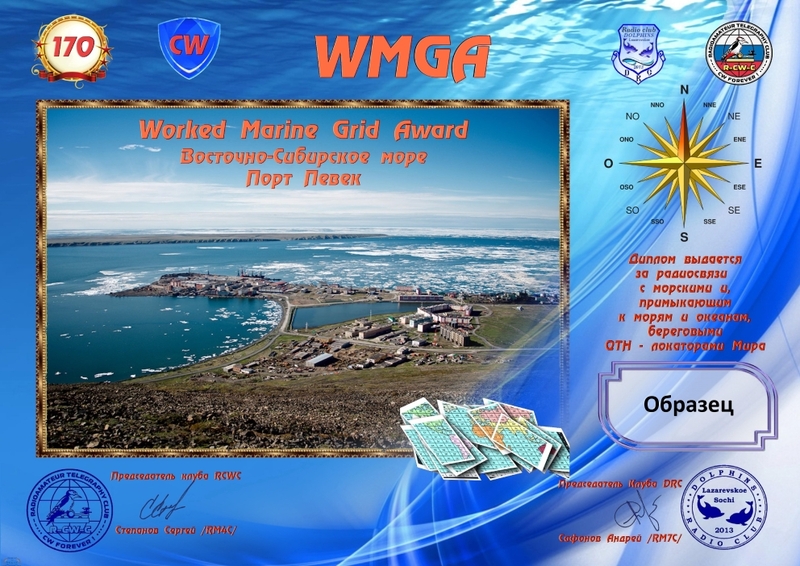 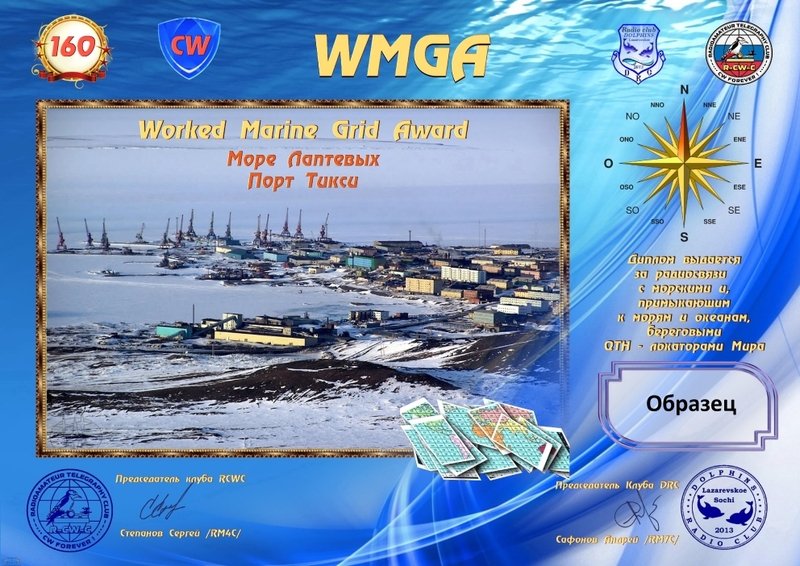 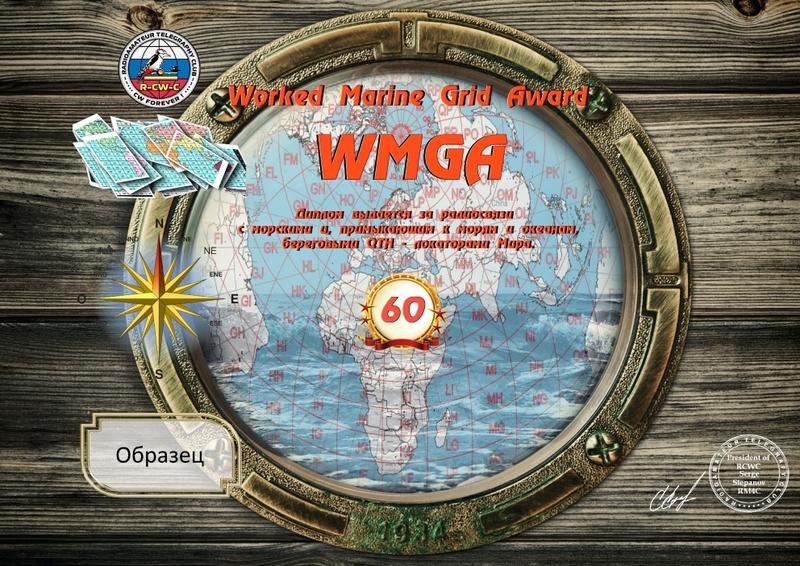 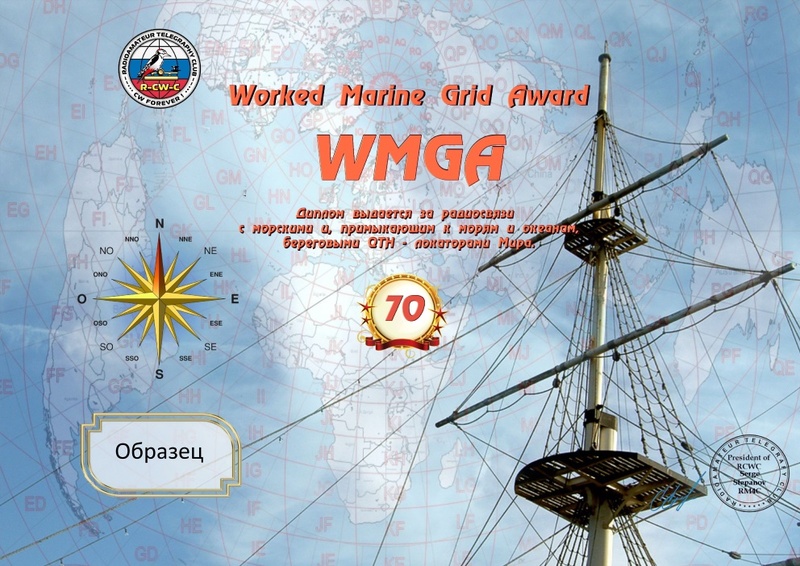 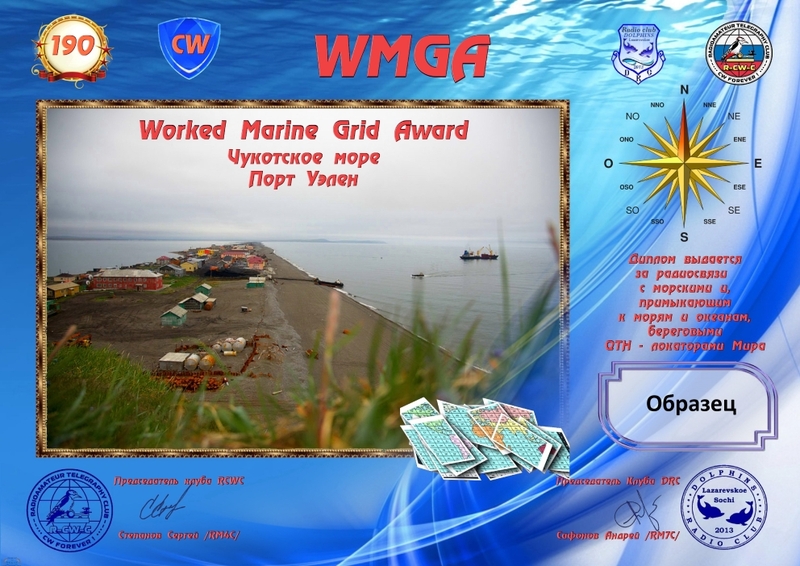 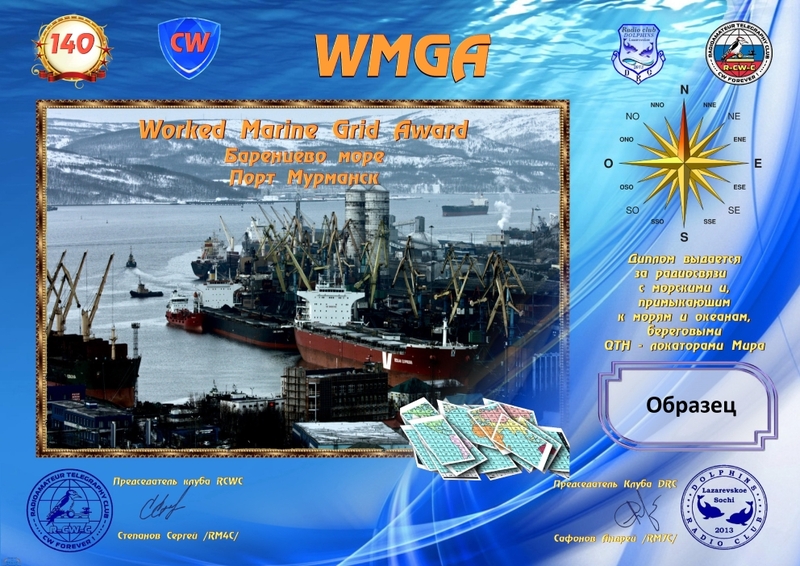 Гость→ Просматривает новость: Award program "Worked with marine QTH Locators"
RCWC » News » Award program "Worked with marine QTH Locators"
Award program "Worked with marine QTH Locators"
The degree program "Worked with Sea QTH Locators" is founded by radio club "Dolphins" and "The Russian telegraphy club", for carrying out bilateral radio communications (observations) with amateur radio stations working from various sea QTH locators. 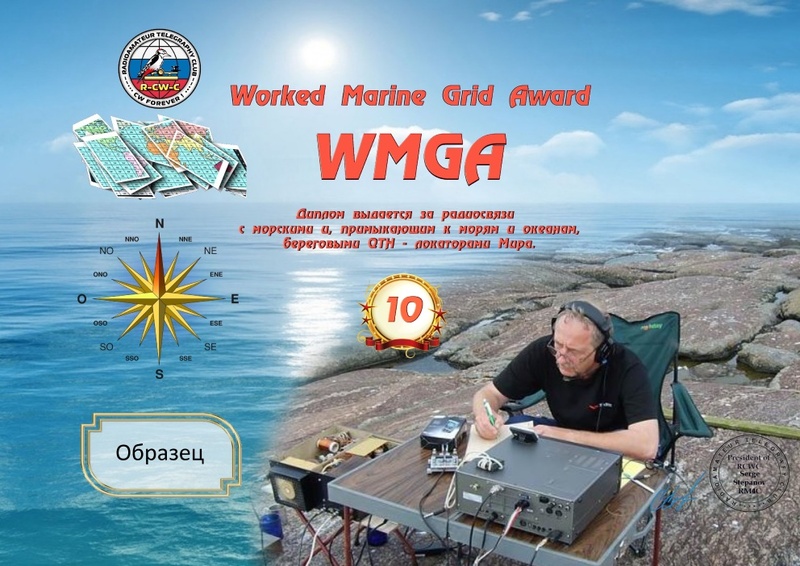 The QTH locator is considered sea even if the part of its territory passes across the coastline of continents or islands. 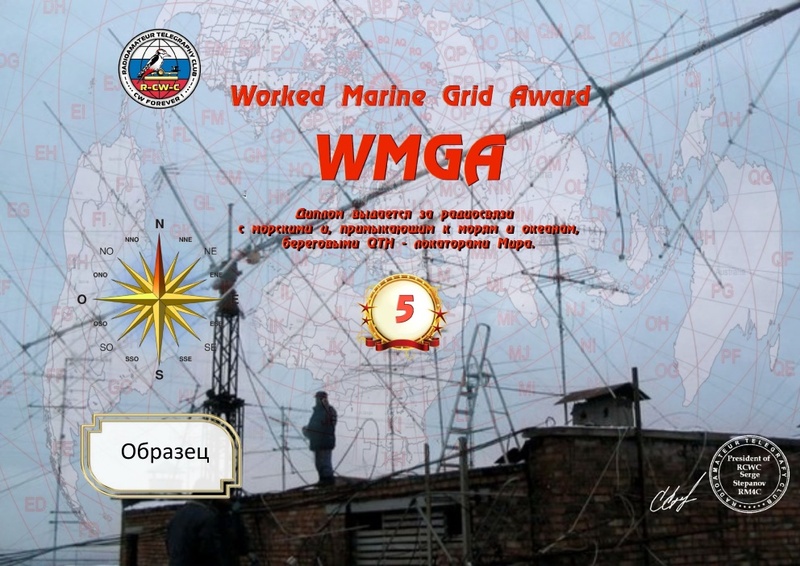 The radio station of the correspondent can be both on sea vessels, and on the land within borders of this sea locator. 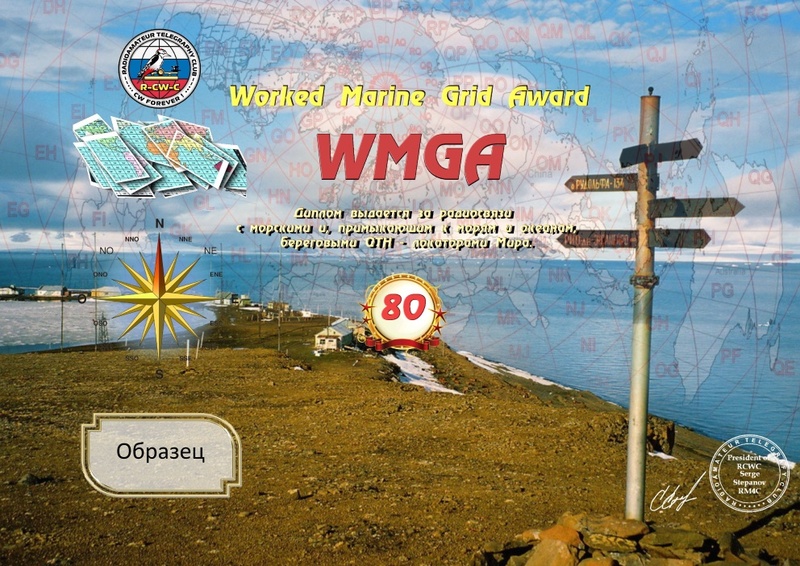 The radio communication with each sea locator is set off only once, irrespective of band. 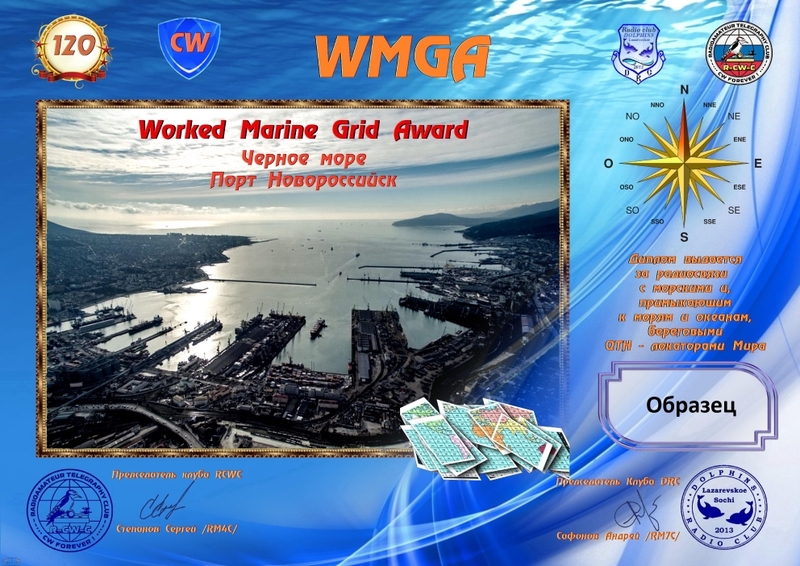 The diploma is issued for work with 5, 10, 20, 30, 40, 50, 60, 70, 80, 90, 100, 110, 120, 130...990 and 1000 various sea QTH locators. 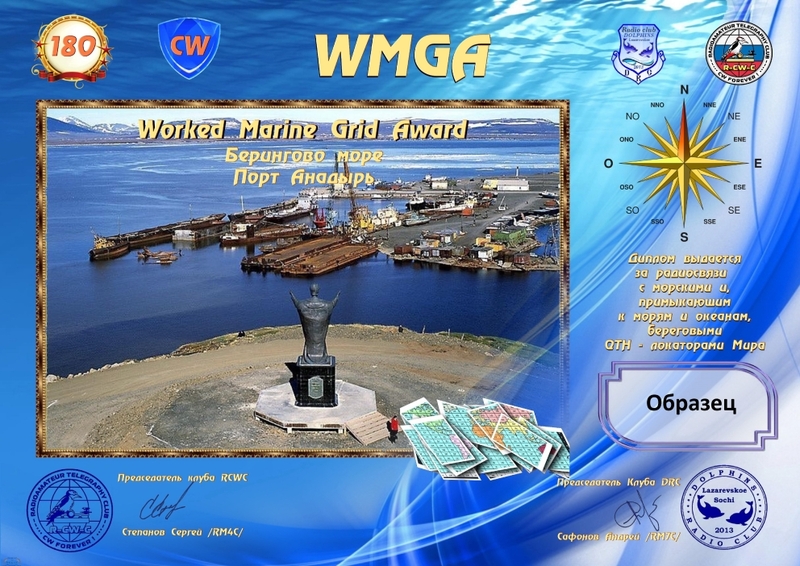 It is possible to download the list of the sea QTH locators which are set off on this diploma below at the links. 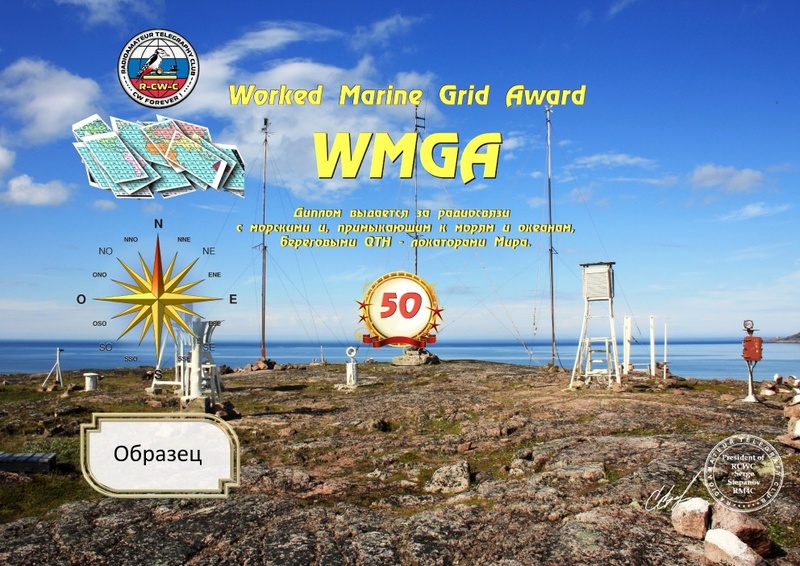 Data on radio communications in the application it is necessary to place in alphabetical order followings of QTH locators. 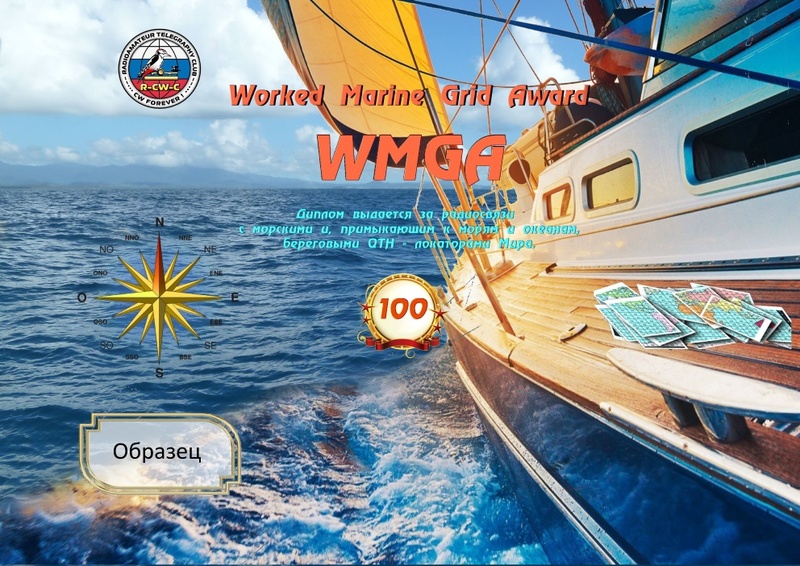 It also does not require a separate application for certificates WMGA-100, 200 ... 1000.